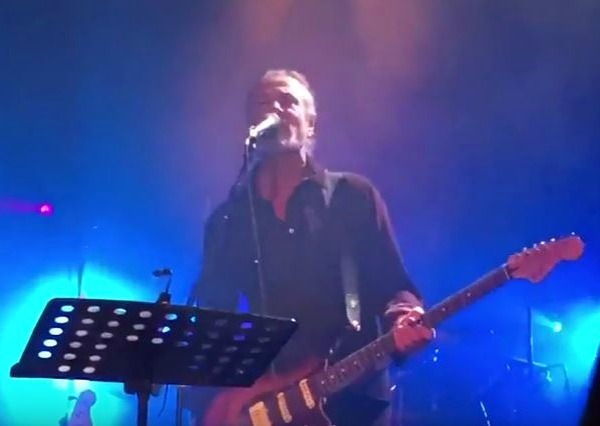 The Factory Theatre in suburban Sydney, Australia, on Saturday hosted a 25th anniversary tribute to The Cure’s ninth album Wish that was headlined by Steve Kilbey of The Church, and featured a number of Sydney-area musicians performing songs off that record and more. The concert — brought to our attention by the …Hang the DJ blog — also featured performances by The Exploding Boys (featuring members of GLIDE and Died Pretty), The Hummingbirds, Jamie Hutchings, Peter Fenton of C R O W, Dave Challinor of Sounds Like Sunset, Ken Blonde of Mr Blonde) and more. We haven’t seen the setlist yet — a front-to-back performance of Wish was advertised — and so far the only video to have surfaced features performances of non-Wish songs, including clips of Kilbey performing Disintegration hits “Pictures of You” and “Love Song” (he apparently also played “Lullaby”). See video of Kilbey’s performance, as well as others, below. Yes, the tribute night covered a number of classic Cure songs before performing Wish from ‘Open’ to ‘End’. The supporting band did well – about 30 songs back to back, almost 3hrs without a glitch. Various guest singers – Kilbey did a set of about 4 (if I recall correctly) and then came back for one of the Wish numbers. Small crowd, was an epic night for Cure fans. Obviously he’s able to pull off a credible cover. They probably should have changed the key down a half-step or so , to make those songs better suited to his range these days. This is actually quite good. This band sounds more like The Cure than the terrible version that has been in place with Cooper and Gabrels. At least these people are all playing quality instruments and capturing the sounds. Kilbey does well, considering how different his voice is from Smith’s.